We were still in the bar at Fleming’s, and had actually played movable chairs, probably to the chagrin of our waitress, but we ended up in a booth, still having a grand time and good conversations. Our friend’s date for the evening luckily did not have to suffer any “good cop/bad cop” interrogations, nor any in-depth questioning. He did find that we had mutual friends and all was well. I guess that since Fleming’s had such success with their “5 for $6 ‘til 7” they introduced a new special in the bar call “8 for $9 ‘til 10.” So our early dinner morphed into a new series of wines and “small plates.” We were sharing orders of Lobster Lettuce Wraps, Ahi Tuna Tacos, and Short Ribs Empanadas and for dessert we tried “Deconstructed Balvenie S’mores. The dessert was unique in that each part of a S’mores was in separate sections of the plate, there were house made Graham Crackers, house made marshmallow and a warm chocolate sauce that was laced with some Balvenie Scotch Whisky. I might add that the laced chocolate sauce was a delicious addition to the coffee that we had after dinner as well. We tried a couple of different wines during this course of the meal. 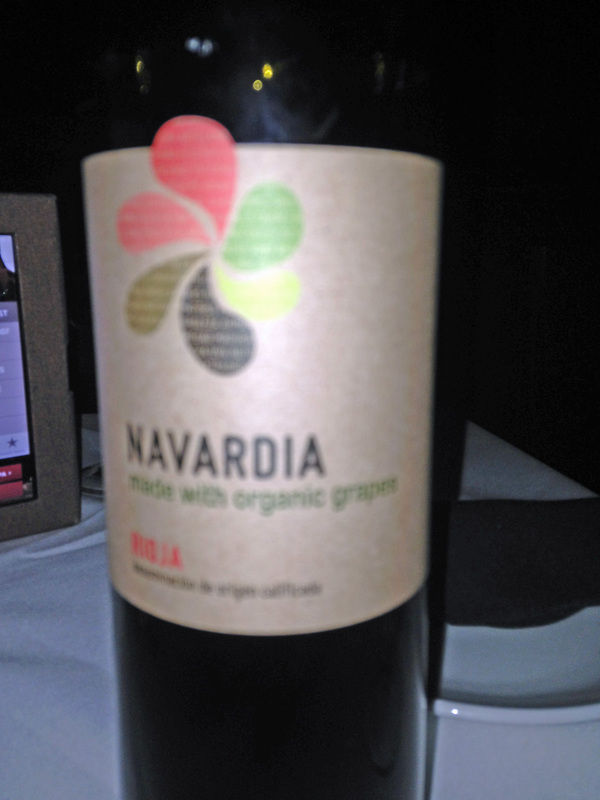 We started of with a wine from Bodegas Bagordi Navardia Rioja 2012. The Navardia collection from the winery designated that it was of their “organic wines.” As in all wines from Rioja, this was a blend of Tempranillo, Graciano and Garnacha; but I have to admit that it was the lightest tasting Rioja wine that I ever had, which was a bit of a disappointment. 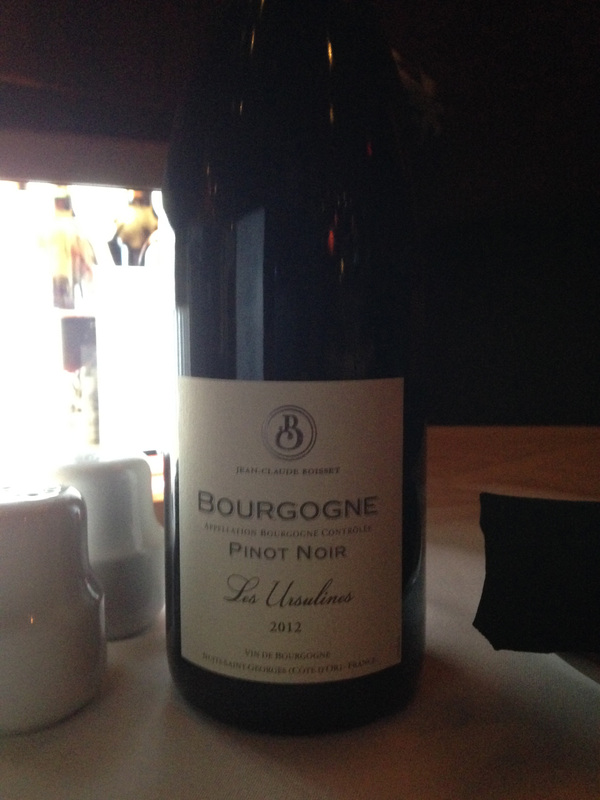 The next wine was from Jean-Claude Boisset Bourgogne Pinot Noir Les Ursulines 2012. This was a nice glass of Pinot Noir from the Cote de Nuits of Burgundy, it was a good Pinot Noir, and of course not with the nuances from some of the finest villages of Burgundy, but at the price it was enjoyable. The last glass that we tried was a dessert wine from Loupiac, an appellation of its own in Bordeaux across the river from Sauternes and Barsac, but is noted for its sweet white wines. 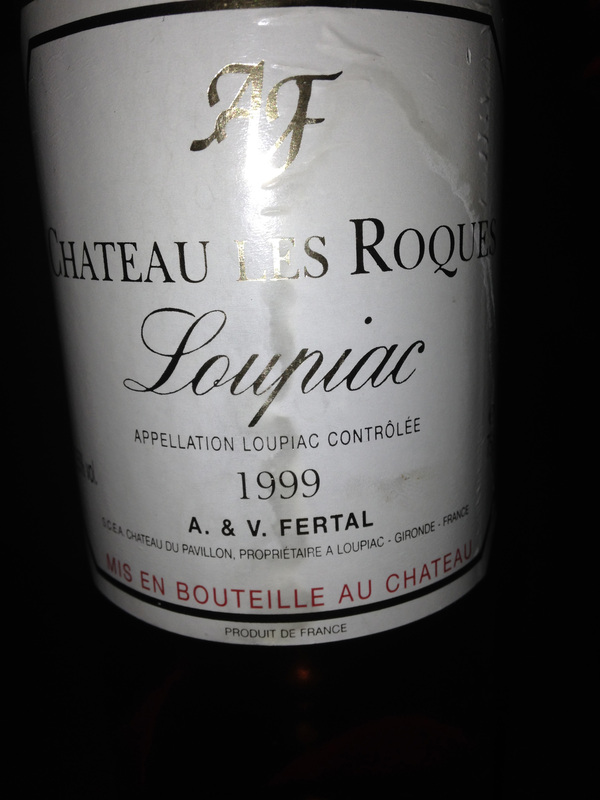 The glass of Chateau Les Roques 1999 was probably the best wine of the group, but then again, it was not part of the special pricing promotion. The wines of Loupiac by the appellation laws are made from Semillon, Sauvignon Blanc, Muscadelle and Sauvignon Gris. While we all had a great time during the course of the dinner, I have to admit, that I should have had the burger, because I tell you, that Fleming’s consistently makes one of the best burgers, and when one is in the bar, what is better bar food than a burger? This entry was posted in Dining, Wine and tagged Bodegas Bagordi, Bourgogne, Burgundy, Chateau Les Roques, Cote de Nuits, France, Garnacha, Graciano, Jean-Claude Boisset, Les Ursulines, Loupiac, Muscadelle, Navardia, Pinot Noir, Rioja, Sauvignon Blanc, Sauvignon Gris, Semillon, Spain, Tempranillo. Bookmark the permalink.